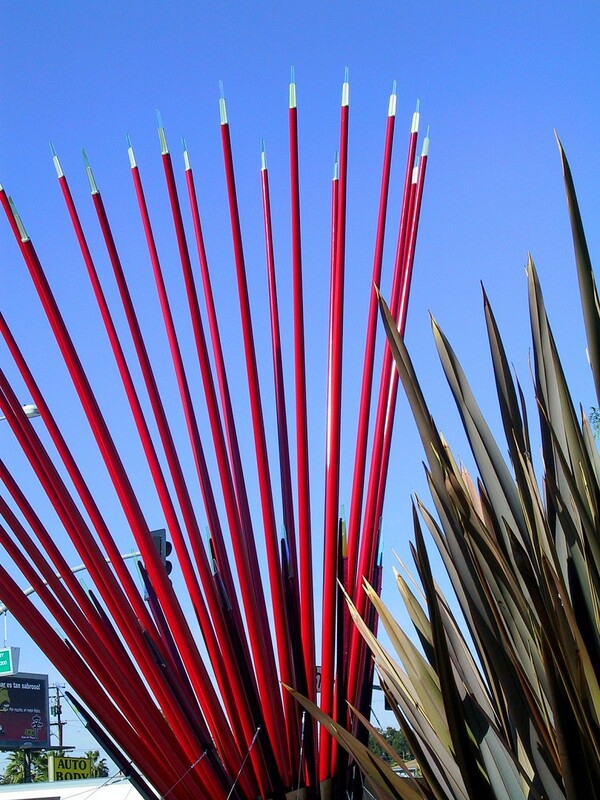 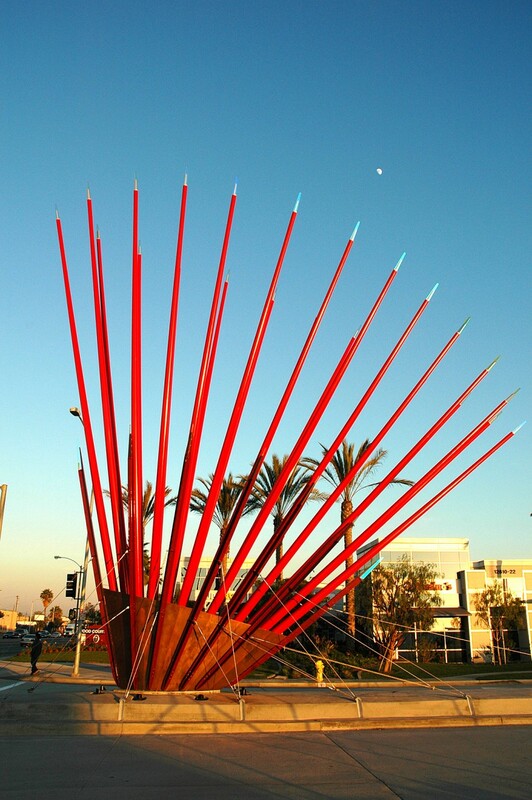 “Springstar” is sited in the 10′ x 60′ traffic island at the entrance to a large office and warehouse complex at the corner of Leffingwell and Imperial Highway in Santa Fe Springs, California. 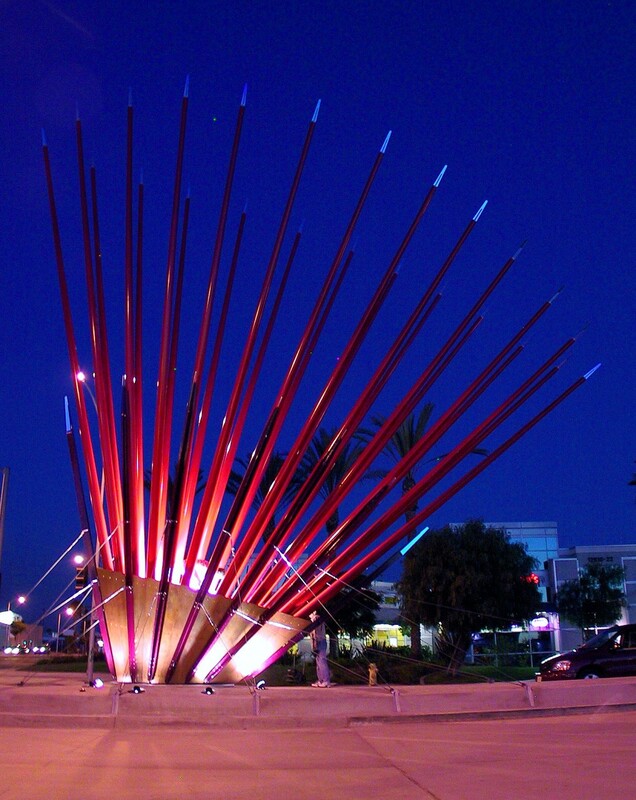 The sculpture is scaled to be prominent in relation to surrounding structures and is designed to be bold enough in form to be a significant entry marker for the Golden Springs Development Company. 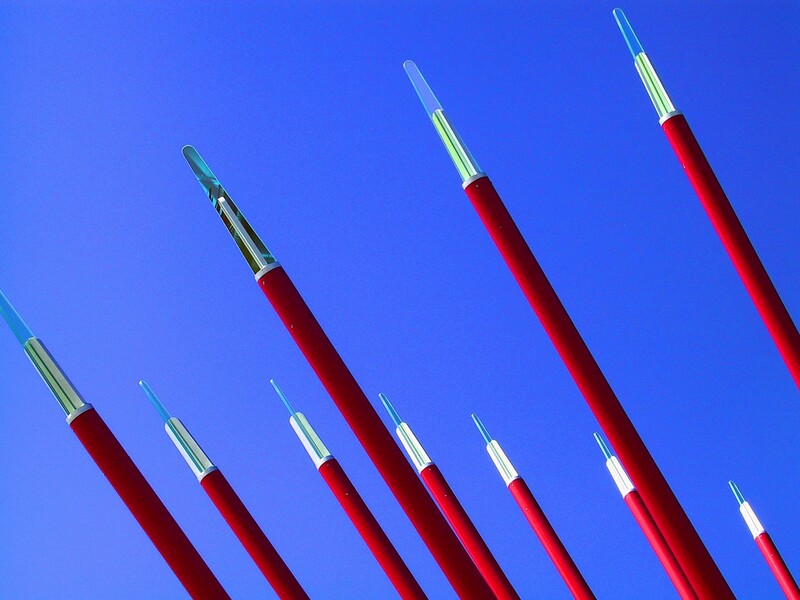 At the same time, it is transparent enough to preserve good vehicle sight lines. 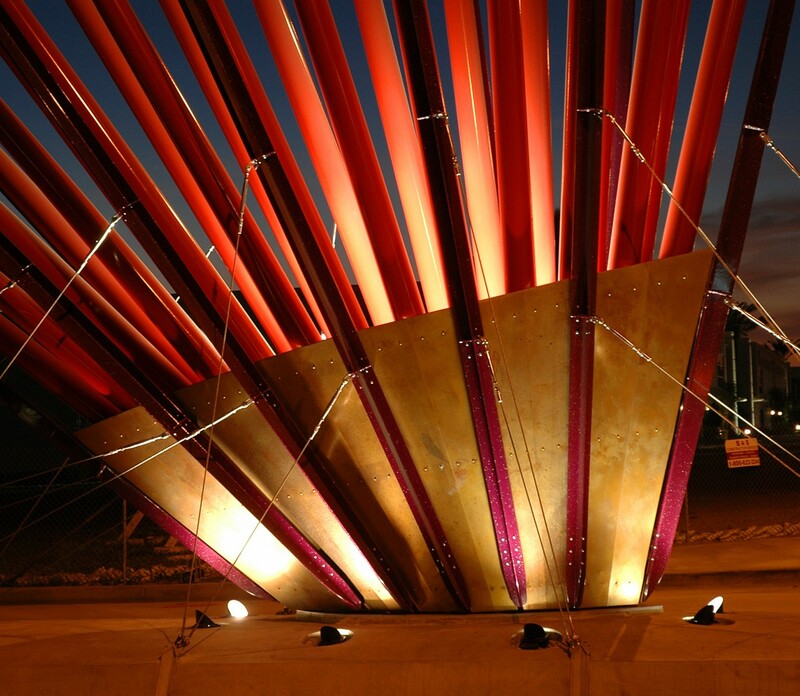 It seeks to embody feelings of up-welling, ascending from the earth, and rising spirits which are implicit in the name and history of the Golden Springs Development Company. 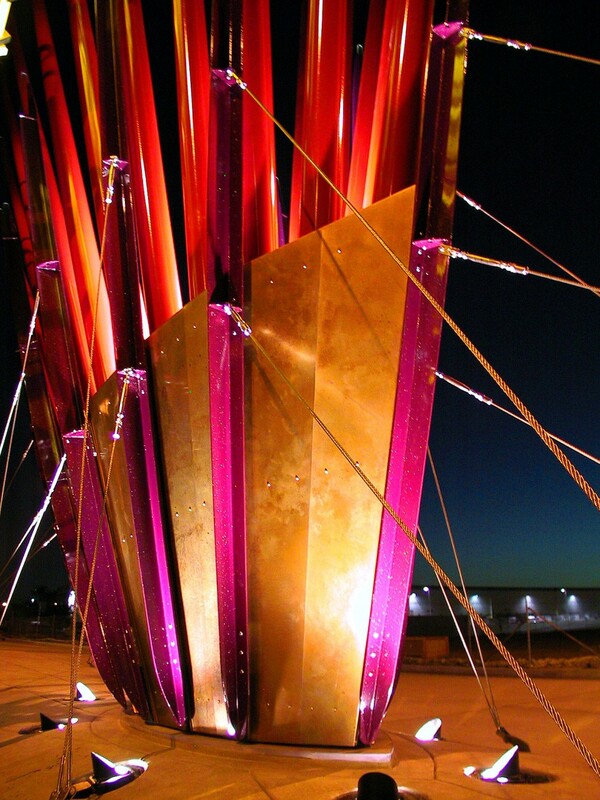 The forms have various potential references, simultaneously suggesting botanical, technical, and fountain imagery. 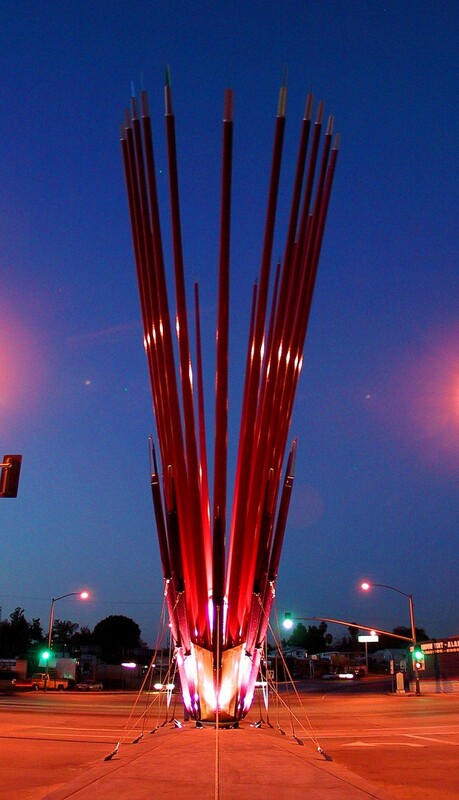 Materials: Powder coated aluminum masts, laminated dichroic glass finials, galvanized steel internal structure and cable anchors, stainless steel cables and hardware, concrete plinth, copper cladding, and internal and external flood lighting.